Cherry Mobile's Flare S6 series is a very successful line of budget phones. As a matter of fact, the company has recently sold more than 300K units of the said line-up all over the Philippines. Currently, the company has highlights 3 of them: the regular Flare S6, the selfie-centric Flare S6 selfie, and the higher-end Flare S6 Plus w/ 18:9 screen. Cherry Mobile is not done for this year yet though. 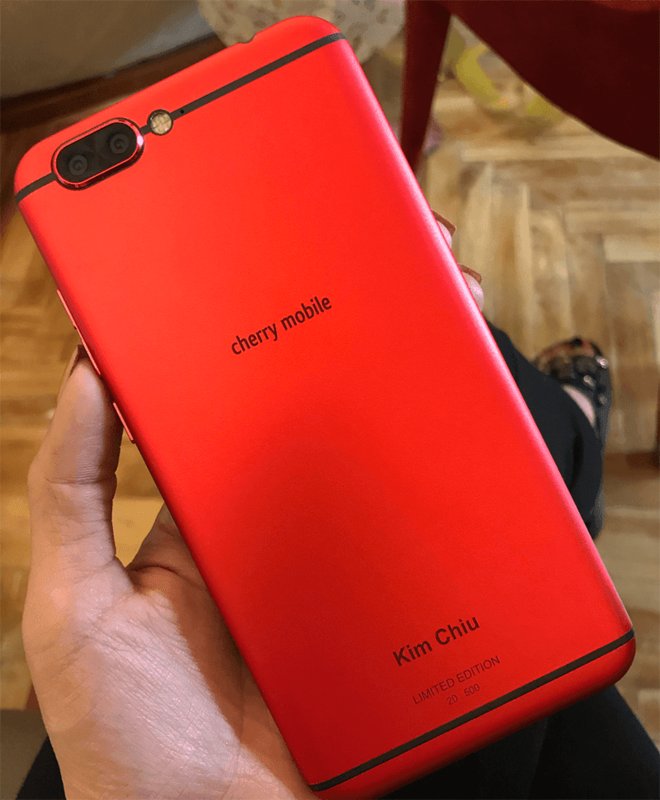 Kim Chui, the popular actress and endorser of Cherry Mobile just teased the Limited Edition Flare S6 Premium. In her Instagram page, Kim Chiu showed the entire box and the actual back image of the said device. By the looks of it, the Cherry Mobile Flare S6 Premium boasts a metal clad unibody design w/ dual camera setup. In front, the screen looks like a regular 16:9 display. Update: John of Unbox was able to get possible specs of this handset. It includes: 5.5-inch FHD IPS screen, Helio X27 deca-core processor, 4GB RAM, 64GB expandable storage, USB Type-C port, 13MP Sony dual cameras, 13MP selfie camera, LTE, and Nougat OS. Unfortunately, that's all we know for now. We still don't know if Cherry Mobile will ever release this phone to the public.